NFTU: The following was originally a comment on NFTU in reply to the pdf of Fr. Seraphim’s works. Since it provides important information it will be made a post. ROCOR ANATHEMATIZES ECUMENISTS. “To those who attack the Church of Christ by teaching that Christ’s Church is divided into so-called ‘branches’ which differ in doctrine and way of life … and who do not distinguish the priesthood and mysteries of the Church from those of the heretics, but say that the baptism and eucharist of heretics is effectual for salvation … Anathema” (ROCOR Council of Bishops, Anathema Against Ecumenism, August 1983, in Pravoslavnoe Obozrenie, April 1984, no. 58; Pravoslavnaia Rus’, 1984, no 10; Orthodox Life, July–August, 1984, 34.4, https://www.bostonmonks.com/pdfs/AnathemaText2000.pdf). ROCOR ADDS ANATHEMA TO THE SYNODICON OF ORTHODOXY. “[W]e see with grief that the process of the increase in practice of the heresy of Ecumenism among Orthodox Christians, of which we warned our brethren in our Sorrowful Epistles, has not stopped, but is even growing. The development of an interdenominational understanding of Baptism, the Eucharist, and the Priesthood in recent years has been manifested in various so-called ecumenical services and was especially clearly expressed in the Lima Accord and now in Vancouver. Our Council has decisively condemned this manifestation and has ordered that an anathema of the heresy of Ecumenism be added to the Rite of Orthodoxy” (ROCOR Council of Bishops, Letter, August 1983, in Pravoslavnaia Rus’, October 1983, no. 19; Orthodox Life, November–December 1983, 33.6; https://www.bostonmonks.com/pdfs/AnathemaText2000.pdf). SAINT PHILARET ORDERS THE ANATHEMA READ IN ROCOR CHURCHES. “[T]he Bishops’ Council during its meeting last August unanimously adopted the following resolution concerning the pan-heresy of Ecumenism, which in one word encompasses all forms of modernism and innovation…. The text of this Anathema is to be attached to the Synodicon of the Sunday of Orthodoxy, to be read with the rest of the text of the Synodicon” (Saint Philaret, Metropolitan of New York, Letter to Father Anthony Gavalas, October 14/27, 1983, https://docs.google.com/file/d/0BzJKrDVZPwcvMk5BaGlIY2tfZUU/). METROPOLITAN ANASTASII CONDEMNS MOSCOW PATRIARCHATE BISHOPS FOR SERGIANISM. “As regards the Moscow Patriarchate and its hierarchs, then, so long as they continue in close, active and benevolent cooperation with the Soviet government, which openly professes its complete godlessness and strives to implant atheism in the entire Russian nation, then the Church Abroad, maintaining her purity, must not have any canonical, liturgical, or even simply external communion with them whatsoever, leaving each one of them at the same time to the final judgment of the Council of the future free Russian Church” (Anastasii (Gribanovskii), Metropolitan of New York, Last Will and Testament (1957), http://www.orthodox.net/articles/anastasy-will.html). MOSCOW PATRIARCHATE APPROVES INTERCOMMUNION WITH ROMAN CATHOLICS. “The Russian Orthodox Church has decided to permit its priests to administer sacraments to Roman Catholics” (New York Times, February 21, 1970, https://nyti.ms/2AXA16U). ROCOR CONDEMNS THE MOSCOW PATARIARCHATE FOR COMMUNION WITH ROMAN CATHOLICISM. “The lack of accord of the decision of the Moscow Patriarchate, concerning the granting of communion to Roman Catholics, with Orthodox doctrine and the Church canons is completely clear to any person even slightly trained in theology…. it is completely clear that by this decision communion has been established between the Moscow Patriarchate and Roman Catholics, albeit with certain limitations…. This (i.e., the state of communion between the Moscow Patriarchate and Roman Church) was particularly clearly demonstrated in the service held on December 14, 1970, in Saint Peter’s Basilica in Rome when Metropolitan Nikodim gave communion to Catholic clerics. It is obvious that this act could not be justified by need (i.e., that the Catholics had no churches of their own at which to receive communion). By this act the Moscow Patriarchate betrayed Orthodoxy. If the 45th Canon of the Holy Apostles excommunicates from the Church an Orthodox bishop or cleric who has “only prayed together with heretics” and 10th Apostolic Canon forbids Orthodox even to pray together with those who are excommunicated, what can we say about a bishop who dares to offer the Holy Mysteries to heretics? ¶If catechumens must leave the church before the sanctification of the Gifts and are not permitted even at the point of death to receive communion until they are united to the Church, how can one justify the communicating of persons who are members of heretical communities and are much further away from the Church than a catechumen, who is preparing to unite with her? ¶The decision of the Moscow Synod, which was confirmed by the recent Council of the Moscow Patriarchate in Moscow, extends the responsibility for this un-Orthodox decision to all participants of the Moscow Council and to their entire Church organization. The decision to admit Catholics to communion is an act which is not only anticanonical, but heretical, since it inflicts harm on the Orthodox doctrine of the Church, which holds that only true members of the Church are called to communicate of the Body and Blood of Christ in the Eucharist. Taken logically, the Moscow decision recognizes as members of the Patriarchate those who, through their doctrinal errors, are in both heart and mind far from Orthodoxy” (ROCOR Council of Bishops, Ukaz of the Russian Orthodox Church Outside of Russia on the Baptism of Converts from the West, September 28, 1971, in Orthodox Christian Witness, January 1972; http://www.rocorstudies.org/2010/05/15/ukaz-of-the-russian-orthodox-church-outside-of-russia-on-the-baptism-of-converts-from-the-west-1528-september-1971/). ROCOR ON THE SCHISMATIC NATURE OF THE RUSSIAN AMERICAN METROPOLIA. “The Synod of Bishops [Abroad] has not forgotten that until very recently we and you [the Metropolia] were united in one Russian Orthodox Church Abroad…. We grieved when this unity was disrupted…. In your hearts you must all know that the Moscow Patriarchate in its present form is not the true representative of the Russian Orthodox Church…. Therefore, we are addressing you all, Bishops, Pastors, and Laity, for the last time. Let all other considerations fall. 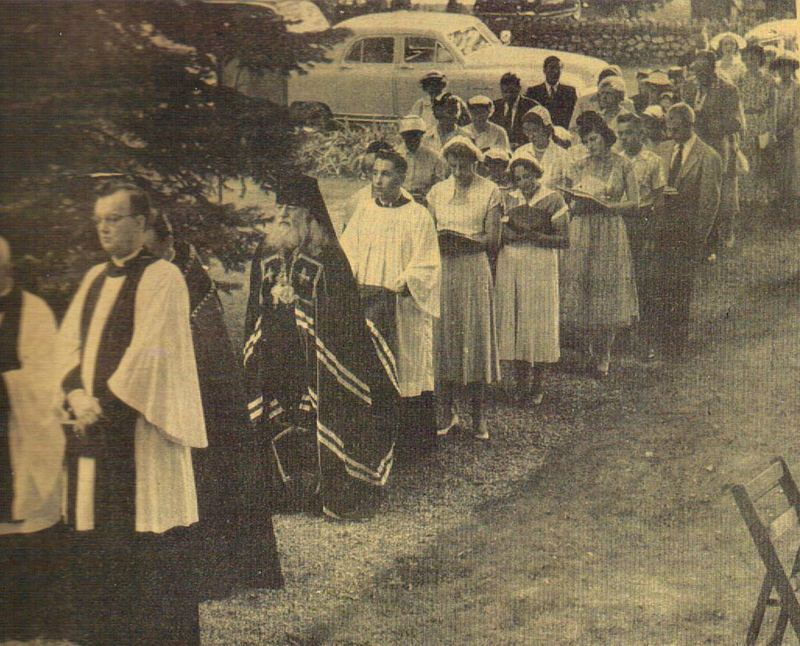 Return back to the unity of the free [Church Abroad] before it is too late” (ROCOR, Letter to Russian American Metropolia, October 1970, at https://orthodoxwiki.org/ROCOR_and_OCA#1970:_Autocephaly_for_the_OCA). ROCOR CONDEMNS MOSCOW PATRIARCHATE AND OCA. “The American Metropolia has received its autocephaly from the Patriarchate of Moscow, which has not possessed genuine canonical succession from His Holiness Patriarch Tikhon from the time when Metropolitan Sergii, who later called himself Patriarch, violated his oath with regard to Metropolitan Petr, the locum tenens of the patriarchal throne, and set out upon a path which was then condemned by the senior hierarchs of the Church of Russia. Submitting all the more to the commands of the atheistic, anti-Christian regime, the Patriarchate of Moscow has ceased to be that which expresses the voice of the Russian Orthodox Church. For this reason, as the Synod of Bishops has correctly declared, none of its acts, including the bestowal of autocephaly upon the American Metropolia, has legal force…. ¶Viewing this illicit act with sorrow, and acknowledging it to be null and void, the Council of Bishops of the Russian Orthodox Church Outside of Russia, which has hitherto not abandoned hope for the restoration of ecclesiastical unity in America, sees in the declaration of American autocephaly a step which will lead the American Metropolia yet farther away from the ecclesiastical unity of the Church of Russia. Perceiving therein a great sin against the enslaved and suffering Church of Russia, the Council of Bishops DECIDES: henceforth, neither the clergy nor the laity [of the Russian Church Abroad] are to have communion in prayer or the divine services with the hierarchy or clergy of the American Metropolia” (ROCOR Council of Bishops, 1971, http://blessedphilaret.blogspot.com/2008/08/life-of-metropolitan-philaret-of-new.html). ROCOR REQUIRES THE BAPTISM OF CONVERTS FROM ROMAN CATHOLICISM AND PROTESTANTISM. “The Holy Church has from the beginning held the belief that there can only be one true baptism, namely that baptism which is performed in the bosom of the Church, since there is “one Lord, one faith, one baptism” (Eph. 4:5). “One baptism” is also confessed in the Creed, and the 46th Canon of the Holy Apostles states, “We ordain that a bishop or presbyter who accepts [i.e., recognizes] the baptism or sacrifice of heretics is to be deposed.” …¶In Russia since the time of Peter I [sic. ], the practice was introduced to accept Roman Catholics and those Protestants who taught that baptism was a sacrament (e.g., the Lutherans) through a renunciation of their heresy and chrismation (Catholics who had been confirmed were received without chrismation). Before Peter, Catholics were baptized in Russia. In Greece, the practice has also varied, but for most of the past three hundred years the practice of baptizing converts from Catholicism and Protestantism was reintroduced. Those received into the Church in any other way were sometimes not even recognized in Greece as Orthodox. There were many cases of such convert children of the Russian Church not being admitted by the Greeks to Holy Communion. ¶Having this circumstance in mind and also the current growth of the ecumenical heresy, which attempts completely to erase the difference between Orthodoxy and any heresy as manifested by the Moscow Patriarchate’s decision in spite of the holy canons, even to permit Roman Catholics to take communion in certain cases, the Bishops’ Council deems it necessary to introduce a stricter practice, i.e., to baptize all heretics who come to the Church. Any other practice, i.e., the acceptance of Roman Catholics and Protestants baptized in the name of the Trinity into the Church through a repudiation of their heresy and the sacrament of chrismation, may be permitted only if strictly necessary. 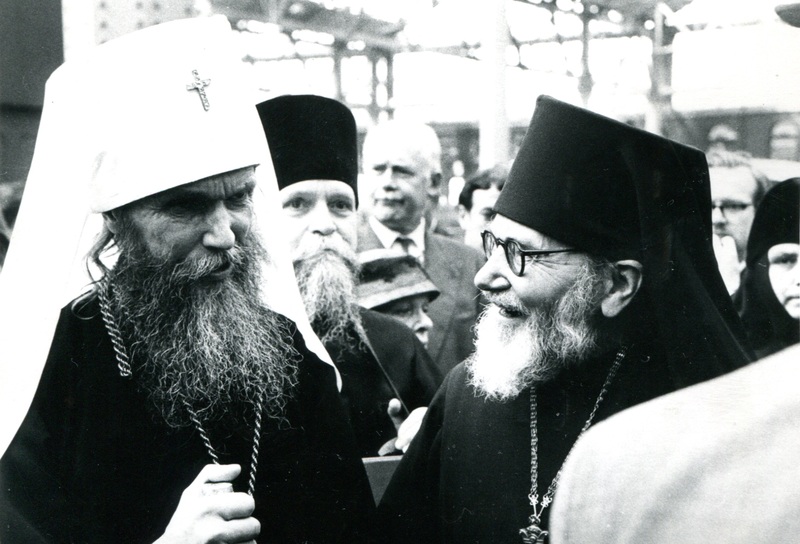 It must be with the express permission of a bishop and be motivated by considerations of “economy” or pastoral condensation” (ROCOR Council of Bishops, September 28, 1971, http://www.rocorstudies.org/2010/05/15/ukaz-of-the-russian-orthodox-church-outside-of-russia-on-the-baptism-of-converts-from-the-west-1528-september-1971/). STATEMENTS IN THE PERIODICAL PRAVOSLAVNAIA RUS’. “Imperative to the establishment of the Catacomb Church, is the decision of the Sobor, which forbids the faithful to be spiritually fed by the clergy legalized by the antichristian government” (Pravoslavnaia Rus’, 1949, no. 17). “The Church Abroad remains in absolute separation from the MP, and embraces the struggle and confession of the Catacomb Church” (Pravoslavnaia Rus’, 1950, nos. 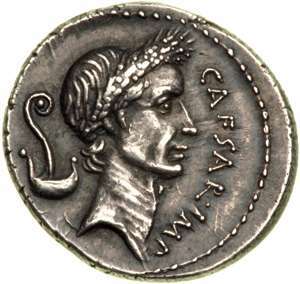 23–24). “The Catacomb Church and the Church Abroad stand on the true canonical path, and the MP has left the truth of Christ — obeying godless authority” (Pravoslavnaia Rus’, 1951, no. 1). “We are the flesh of the flesh and the blood of the blood of the Catacomb Church. Seeking the patriarchal Soviet church is separation from God” (Pravoslavnaia Rus’, 1951, no. 11). “Pravoslavnaia Rus’ is not found in allegiance with the MP but rather with the Catacomb Church” (Pravoslavnaia Rus’, 1953, no. 18). “The Russian Church Abroad has never and will never recognize the false patriarchal church nor its false patriarchs Sergius or Alexei” (Pravoslavnaia Rus’, 1956, no. 12). “It is against God to recognize the MP as a valid structure parallel to the Church Abroad. Such a parallel currently is found only in the Catacomb Church” (Pravoslavnaia Rus’, 1963, no. 19). 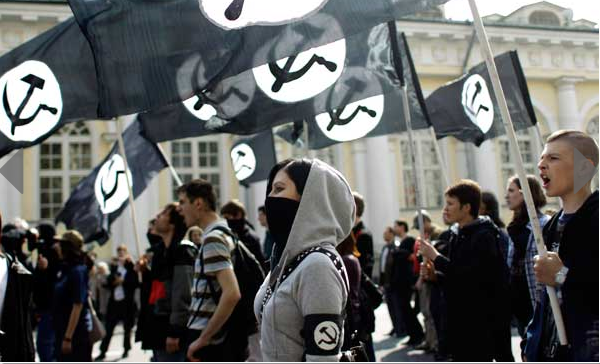 “The Soviet church is an attempt by the godless authority to demonstrate to the world a lineage of the Russian Church. In truth the true Tikhonite Church did not follow the false path of Sergius” (Pravoslavnaia Rus’, 1964, no. 21). “In the pastoral conference of ROCOR 1969 it was stated that: ROCOR of North America and Canada recognizes the MP as a tool of Satan, fighting the true continuance of the Russian Church which is the Catacomb Church” (Pravoslavnaia Rus’, 1969 , no. 18). “ROCOR does not recognize the MP as the Russian Church, which became the Catacomb Church” (Pravoslavnaia Rus’, 1970, no. 13). “The MP is not the legacy of the Russian Orthodox Church, as it is in allegiance with the godless Soviet authority. The legacy of the Russian Orthodox Church members are either imprisoned or in the catacombs” (Pravoslavnaia Rus’, 1970, no. 20). “The Catacomb Church and the Russian Orthodox Church Abroad are preserving true Orthodoxy, not following the path of the MP — the blind servant of the godless authority” (Pravoslavnaia Rus’, 1970, no. 21). “To recognize the MP under current circumstances as valid is to judge the Catacomb True Church, which is to deny the Church and her hierarchs and the struggle for spiritual rebirth” (Pravoslavnaia Rus’, 1972, no. 8). “Soviet youth, joining seminaries provided by the authority are being molded into Soviet priests” (Pravoslavnaia Rus’, 1975, no. 18). “The persecuted part of the true Church is well familiar with Metropolitan Philaret and counts itself as an undivided member of ROCOR” (Pravoslavnaia Rus’, 1978, no. 8). “Many hierarchs of the MP are planted atheists” (Pravoslavnaia Rus’, 1980, no. 12). “The MP has not changed since the time of Sergius. For this reason ROCOR has no union with it. ROCOR is in full communion with the True Orthodox Church in Russia, the Catacomb Church” (Pravoslavnaia Rus’, 1990, no. 1). “After involvement with the ecumenical movement in 1960, the MP became not only schismatic but also a heretical organization” (Pravoslavnaia Rus’, 1990, no. 8). “The Soviet church not only betrayed the holy canons, it also went against the fundamental dogmas of our faith and teaching of the Holy Spirit. We doubt there is Grace in the MP” (Pravoslavnaia Rus’, 1948, no. 17–19). “The Soviet patriarch has gone on the path of unity with the spirit of antichrist” (Pravoslavnaia Rus’, 1948, no. 22). “The true Church proclaims Anathema on the false church and all that it puts the seal of Christ on” (Pravoslavnaia Rus’, 1951, no. 6). “The false Soviet church betrays herself by her satanic nature” (Pravoslavnaia Rus’, 1953, no. 11). “In the Soviet church the beginning of antichrist is clearly visible” (Pravoslavnaia Rus’, 1957, no. 24). “The Soviet church is a division of the NKVD with obedient agents dressed as clergy” (Pravoslavnaia Rus’, 1959 , no. 3). “The clairvoyant nun Agafiia called the soviet church not true, but subservient to antichrist” (Pravoslavnaia Rus’, 1962 , no. 10). “Members of the True Russian Church renounce the official church as being sold to antichrist” (Pravoslavnaia Rus’, 1969 , no. 10). “Monastics of the Catacomb Church in the Caucasus Mountains never recognized the mysteries of the MP as having grace, and never entered into any relation with the Sergianist patriarchate” (Pravoslavnaia Rus’, 1993 , no. 22). “Those in the Church of Metropolitan Joseph of Petrograd denounce any grace in the mysteries of the Sergianists” (Pravoslavnaia Rus’, 1995, no. 10) (http://www.roca-sobor.org/eng/the-periodical-orthodox-russia-and-its-views-on-the-moscow-patriarchate).